A turkey is a sentient being they are not here to provide you with your Christmas dinner, as I hope you will see from the following article, a turkey is a thinking, feeling creature with a life of his or her own. This Christmas please keep turkey and other dead animals off your plate. Turkeys like all animals are sentient creatures who feel pain and suffer and like all sentient being turkeys wish to live. Below is an article I wrote for my website think differently about sheep. I have updated it and added more information concerning turkey sentience. Benjamin Franklin referred to turkeys as “a bird of courage. He suggested that the turkey rather than the eagle be the national symbol of the USA. In the wild turkeys natural life span is up to twelve years. Turkeys have a wingspan of four to five feet. Related to pheasants turkeys evolved about 10 million years ago. Below you will read compelling facts and anecdotes that demonstrate that a turkey is not an automaton driven by instinct, but like all animals he is a conscious being aware of and able to interact with his surroundings: sentient. Rather like chickens turkeys also have become a by-word for stupidity. However also like chickens such an idea is a misconception. There is a huge amount of information supporting the fact that turkeys are intelligent, below is a selection of anecdotes and scientific research concerning the intelligence of turkeys. But as always it is important to keep in mind that sentience does not depend on a creatures intellectual capacity, intelligence adds weight to the idea that an animal is sentient, however it is not a prerequisite. “The researcher has spent a lot of time with turkeys and feels strongly that the use of the turkey as a metaphor for stupidity is unfair and inaccurate. Although the research has been conducted to improve meat quality the findings nonetheless demonstrate turkeys are intelligent. The incongruity of course between these findings and the improvement of meat quality is to me an amazing inconsistency of thinking, bizarre is it not to prove that a creature is intelligent, sentient and then to continue to kill such a being for his meat. Such amazing inconsistency of thinking is to my mind a baffling enigma. “Many people assume that domestic turkeys lack the native intelligence of their wild relatives. I’d like to challenge this assumption by sharing my memory of Mila and Priscilla, two turkey hens who lived with my husband and me for several years in Darnestown, Maryland. Victims of a truck accident, Mila and Priscilla would have been dead by the time we adopted them had they not been rescued. Though roughly the same age, their personalities were very different. Mila was a gentle and pacific turkey with a watchful face. Priscilla was a moody bird with emotional burdens. In the spring and summer, Priscilla would disappear into the woods around our house, and I would have to go look for her. Eventually I’d spy her white form nestled in thick vegetation, where she laid many clutches of eggs that, since there was no male turkey to fertilize them, never hatched. Priscilla kept trying to be a mother, and perhaps because she could not, she was irritable much of the time. Turkeys are not only more intelligent than we give them credit for but they are also amazingly sensitive, aware, conscious even playful creatures capable of a whole spectrum of emotion, and it is only when you get to know them that their true characteristics shine through. In his book The pig who sang to the moon: The emotional world of farm animals, Jeffery Massom refers to the experiences of Jo Hutto who lived amongst turkeys for one year in the forests of Florida. ‘Nearly two hundred eggs where hatched in his presence , and he became the leader of a flock of extraordinary birds… Hutto discovered that that are extremely intelligent , not at all the creatures of human myth…He tells us ” I have never kept better company or known more fulfilling companionship.” Hutto is driven in spite his scientist self, to recognise,” that in the most fundamental sense our similarities are greater than our differences.” He considers himself privileged to be in thier presence, feeling less desolate, less isolated, as he is bathed in the warm glow of these extraordinary creatures .. “As we leave the confines of my language and culture these graceful creatures become in everyway my superiors. More alert sensitive and aware they are vastly more conscious than I. They are in may ways simply more intelligent. There is an intricate attitude, a clear distillation of purpose and design that is beyond my ability to comprehend” He describes his friendship with one particular turkey. “Each time I joined him he greeted me with his happy dance, a brief joyful display of ducking and dodging, with wings outstretched and a frisky shake of the head like a dog with water in his ears. Occasionally he would jump at me and touch me lightly with his feet. His anticipation and enthusiasm made it difficult for me to refuse him. To finish reading this story please click the link below. Turkeys are capable of emotion and there is physical evidence to validate this: when a turkey becomes distressed or excited the bare skin on his throat and head changes colour from grey to shades of red white and blue. Few people know the turkey as a wild bird, sadly only associated with a Christmas, and in the USA Thanksgiving, feast. The reality is that turkeys are complex creatures, here are some facts about a creature few people ever consider is a wild bird just like a swan or an eagle to name but two examples. Domesticated turkeys have white feathers as a result of selective breeding, but wild turkeys have dark feathers, a good camouflage which helps them blend with their environment and helps to conceal them from predators. Factory farmed turkeys have been genetically engineered to have short legs upon which they are barely able to walk let alone run, to have enlarged breasts and to grow abnormally and grossly large at fast rates; they weigh about twice as much as their natural counterparts as a result of selective breeding and abuse such as being given growth hormones and antibiotics. Wild turkeys are a far cry from their unfortunate counterparts: domesticated factory farmed turkeys through selective breeding and mistreatment have very different bodies and capabilities. Like chickens turkeys relish the pleasure of dust bathing to clean their feathers. Dust bathing involves the turkey fluffing up his feathers and allowing loose soil in which they wallow to penetrate to their skin. Turkeys live in flocks, they are highly social animals. Turkeys if treated well are very friendly creatures enjoying the company of other animals including humans. Like all animals turkeys enjoy pleasant tactile sensations and enjoy having their feathers stroked. Touch is important to all sentient beings. Turkeys have a zest for life, a joy that demonstrates a truly sentient creature. During mating the male turkey called, a tom or gobbler, who is considerably larger than the female, perform quite a display to attract females, called a hen, by puffing out their bodies and displaying their feathers accompanied by making the familiar gobble gobble noise. A turkey is not monogamous and may mate with as many as four or five hens each season. After mating the female turkey will set to building a nest under a bush to protect and care for her young, here she will roost at night until the youngsters can fly at about two weeks old. Baby turkeys, called poults or chicks, will remain with their mother for five months. She will lay as many as 18 eggs, laying one egg each day, after about 28 days the eggs hatch. After hatching baby turkeys follow their mother everywhere, they are dependent on her for food and protection, she will fiercely protect them from predators as formidable as raccoons, foxes and hawks to name just a few of the many threats that lay in wait for her vulnerable chicks. If the poults become accidently separated from their mother they will emit loud peeping noises to which the mother responds by running up to her youngsters with loud yelling sounds. Turkeys emanate a variety of sounds which are not random meaningless noises. “Apparently this simple haw of the crow is like a root word of certain ancient languages, the Chinese for example, which has several different intonations to express different ideas, but which all sound alike to foreign ears, and which are spelled alike when they appear in foreign print. To judge by the crow’s action, it is certain that the elementary haw has at least three distinct accents to express as many different meanings: one of “all’s well,” another of “watch out,” and a third of “be off!” Moreover, the birds seem to understand these different meanings as clearly as we understand plain English; they feed quietly while haw means one thing, or spring aloft when it means another; and though you watch them a lifetime you will see nothing to indicate that there is any doubt or confusion in their minds as to the sentinel’s message. As mentioned earlier, turkey calls are important for communication between a mother and her offspring. Vocalisation is an important part of the bonding process. The bonding of mother turkeys and their youngsters through vocal and visual signals is important for the normal social development of the poults, as these communications facilitate the learning of social activities. The gobble that the male turkey uses in early spring is a vocalisation used to announce his presence to females and competing males and can be heard a mile away. In response a hen will yelp thus informing the male of her location. Males also emit a low pitched drumming sound. Turkeys also communicate by the use of visual signs, such as the mating display by the tom mentioned earlier where he displays his tail feathers, puffs out his body and struts about shaking his feathers. Toms, also called gobblers because of the noise they make which can be heard for up to a mile away, convey their aggression by the fanning of their tail feathers. Males also emit a low-pitched drumming sound and often yelp in the manner of females. Hens likewise can gobble, though they rarely do this. Jakes, immature males, often yelp. Sentience is the the capacity of feeling and is the basis for experience of stress and pain, in other words an animal cannot experience pain without being sentient. Pain of course is an obvious indication that a creature is sentient and all animals feel pain and turkeys are no exception. To my way of thinking the fact that animals feel pain is so evident that it seems superfluous to have to write about something that is so obvious as the fact that night follows day. It has always amazed me that people consider that certain animals do not feel pain. We can never be certain that any creature does not feel pain even those without a conventional nervous system, but without a doubt all creatures with a nervous system from the highly sophisticated and complex to the more primitive all experience the feeling of pain. Pain after all is a survival mechanism without which we would soon sustain harm to our bodies and die prematurely. People here in the west may see turkeys as automated walking lumps of meat but in the past it seems in other cultures turkeys were more respected. In mythology turkeys are venerated creatures. “Turkeys have amassed a popularity and significance of mythological proportions among the many and diverse original cultures of North and Central America. Among Native North Americans, the turkey has a long history of association with spirituality and the honouring of the Earth Mother. It’s a symbol of all the blessings that the Earth contains, along with the ability to use them to their greatest advantage. Finally it appears that turkeys have pecking order to which humans may be included.. .in a subservient capacity. “Wild-turkey flocks have a pecking order. 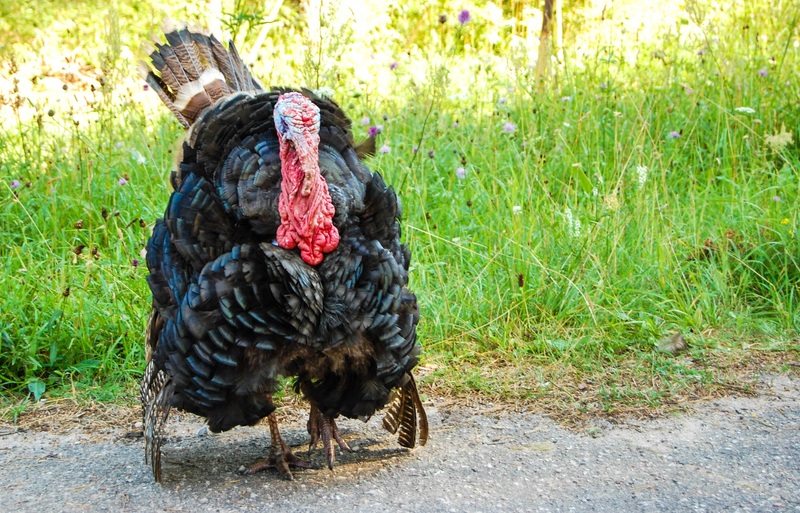 If they live around humans, some of the dominant toms may begin to include people in that order — at a level below themselves, says Jim Cardoza, a turkey expert at the Massachusetts wildlife agency. Wild turkeys “get used to people and incorporate them into their view of society,” he says. Some behaviour, such as putting out bird food and slinking quietly away, can encourage these lordly males to think that humans are a subservient life form, believes Mr. Cardoza. I think the behaviours you have read about would not be possible if turkeys where the automatons people believe them to be. The poultry industry does not want you to understand the true nature of turkeys, as you may consider that it is time to stop rearing turkeys in miserable abusive conditions simply to eat thier flesh to commemorate events that for many people should be celebrations rather than blood baths for millions of sentient beings. Ask NARS Cosmetics to Stop Testing Its’ Products on Animals. there – NARS Cosmetics have decided to test their products on animals. You can help stop cosmetic testing on rabbits and other animals by signing and sharing the following petition. Until recently NARS cosmetics has been committed to creating products without animal testing. Now, NARS has decided to test its products on animals so they can sell them in China. Please urge NARS to keep their commitment not to test on animals. Testing on animals is cruel and immoral and now not necessary, profit is likely the sole motivation. Has anyone noticed how difficult it is to contact manufacturers and retailers, often the contact details are well hidden and aimed at specifcs like customer service. It is absolutely appalling that NARS has chosen to take this course of action in order to boost profits rather than take a stand against China’s laws. 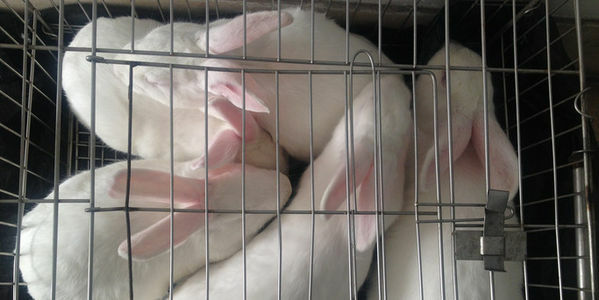 Rabbits Are NOT Test Subjects – Tell NARS to Go Cruelty-Free!